Destin is located on a small peninsula separating the Gulf of Mexico from Choctawhatchee Bay, which is located on Florida's Emerald Coast in Okaloosa County. This small fishing town boasts the largest fishing vessel fleet in the entire state. Destin is the principal city of the Fort Walton Beach–Crestview–Destin metro region, with a population of just over 11,000 residents for a city that encompasses an area of only 8 miles. Destin, Florida is locally known as the "Luckiest Fishing Village." he city of Destin originally began as a part of the Monroe Point Military Reservation, named after the reservation's founder, Captain Leonard Destin. Captain Destin was a New London fishing master and both he and his descendents fished the city's waters for decades. Fishing was the prime focus of this little settlement back in 1845 and is the root cause of the location's recent tourism boom of approximately 4.7 million annual visitors to the area. Moving On Up™ we get you organized and packed easily. You count on our professional staff to help make your move a great experience from pi Our moving services are the very best when your move arrives. No matter how big or small, we can get everything ready to go and stay on a schedule that helps you stay on schedule. 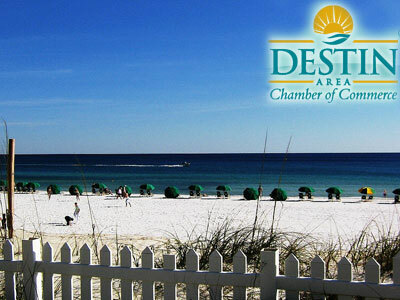 has plenty of resources available at your fingertips to assist you with your move to Destin. Check out the Florida's Emerald Coast official website, which covers news and lifestyle events for Destin and Fort Walton Beach. We also suggest visiting the Destin Chamber of Commerce site for help on planning your move to Destin, as well as job and business resources. Sometimes you just have a tight budget and need to know how much your move will cost you. If you require a quote first, then call Moving On Up™ at 1-800-945-9569 to book your for same-day move in advance. Our moving company can offer you an affordable moving quote that will custom-fit your moving budget. Don't hesitate, contact Moving On Up™ for a quote for your next move.